This skirted bathtub with left drain is part of Valley Acrylic's Signature Series and is a classic style that could fit into any bathrooms dicor. High gloss acrylic structure ensures the quality and durability. All of Valleys Signature Series products are manufactured in Mission, British Columbia, hence guaranteeing that these products are 100% made in Canada, and meets the excellent quality standards that are required by Canadian companies. 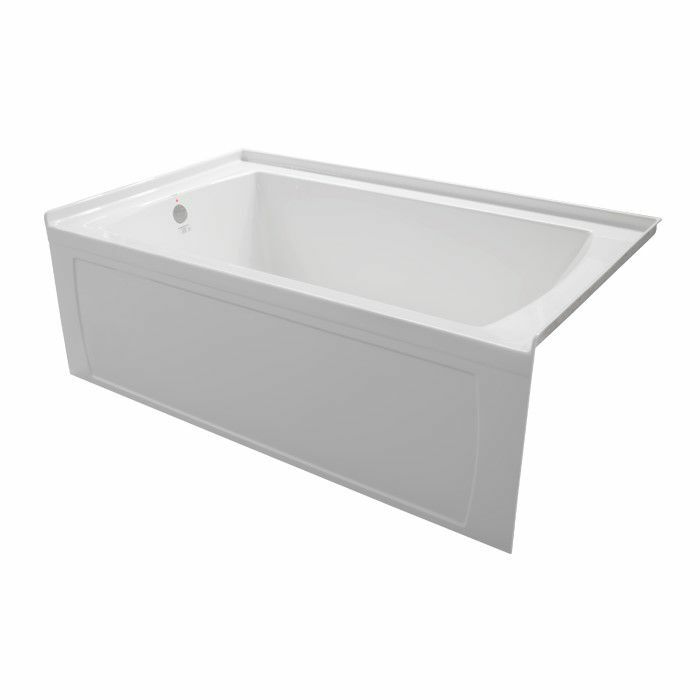 Oro 60x32 Skirted Tub With Lefthand Drain This skirted bathtub with left drain is part of Valley Acrylic's Signature Series and is a classic style that could fit into any bathrooms dicor. High gloss acrylic structure ensures the quality and durability. All of Valleys Signature Series products are manufactured in Mission, British Columbia, hence guaranteeing that these products are 100% made in Canada, and meets the excellent quality standards that are required by Canadian companies.